The Vital Few Make it EASY! Ultimate walkability and the home of many fine restaurants. My passion is helping my clients buy and sell homes in Nashville and Greater Nashville area. I have years of experience in leadership and management, outside sales experience, with fine tuned research and negotiating skills. What does all of that mean for you? I will take care of you from start to finish by providing you with the highest level of professionalism mixed with the highest level of industry knowledge. Sign me up! Let's make it happen! Call me today! Anne Velthouse is a licensed Real Estate Affiliate Broker with Pareto Realty in the Nashville, TN Area. She specializes in Residential Property in Hermitage and Mt. Juliet. Anne provides superb customer service in a fast-paced market and is friendly, professional, and efficient. She is a member of the National Association of Realtors, Tennessee Association of Realtors and the Greater Nashville Association of Realtors. A rabidly innovative entrepreneur, Barry is immersed in the creation of the quintessential Real Estate Sales and Consulting firm Pareto Realty. Barry is a native (one of the few, the proud) of West Nashville who graduated from Montgomery Bell Academy in 1981. An insatiable student of Leadership, Business Development, and Healthy Life Rhythm, most of Barry's learning has come from experiences as Restaurant manager, US Army Combat Engineer Officer, and Organizational Transformation Consultant (Open Space Technology) . . . with influence by Father Harrison Owen, Angeles Arrien (The FourFold Way), Stephen Covey, Gary Keller, and a host of other mentors and advisors. Barry's Real estate career began in sales in 1993 with a series of locally family owned firms - Then 10 years with Keller Williams Realty participating in opening new offices and serving as Broker and Productivity Coach/trainer. In 2010, Barry had an entrepreneurial seizure - certain that there is a way to make a better real estate firm - one that would be so agent-centric that the agent members would serve Home Buying and Selling clients at the highest level imaginable. This concept birthed Pareto Realty upon the simple 3-prong premise that all Real Estate Sales members of Pareto Realty: (1) focus on a well-defined niche target (2) have commitment to a high level of productivity (3) Value and practice a high quality of life (well-being). The Pareto Realty brand stands for the 80/20 principle . . . that 20% of the people (The Vital Few) accomplish 80% of the production . . . and the remaining 80% (Trivial Many) share amongst them only 20% of the harvest. Barry is proud to be building a company of "20%ers" - The Vital Few members of Pareto Realty. Not a minute of any given day passes when Barry is not thinking about how we can improve personally and professionally. Whether you are a Real Estate agent or a Home Buyer/Seller, Barry's sole focus is on the above principles with pure commitment to continuous improvement through innovation. Bob Schwartz has lived in Nashville's "west side" for over twenty years since relocating from Michigan. A member of the Nashville Association of Realtor's LeadershipNashville Class of 2008, Bob has extensive experience in buying and selling homes and condominiums in both Davidson and Williamson Counties. He also works with investors to identify and negotiate development deals. Bob Schwartz offers personal and discreet professional services with the highest level of negotiation expertise. I have been a resident of Nashville for over 25 years and have watched this city grow and change into the exciting place it is today. Real estate was a natural progression for me due to my background in historic preservation and architectural history. My goal is to provide my clients with the utmost in customer service. Listening to what they want, where they are going, and helping them find a home that fits their lifestyle. Hi - Thanks for stopping by! As a Realtor® and in life generally, my focus is on serving others. I love to listen to people's stories and learn what is important to them - then do what I can to help them achieve their dreams. Reliable Research, Effective Communication, Unwavering Integrity, Consistent Follow-through and Sincere Care are core strengths I bring to my clients. I am also a proud member of Pareto Realty, Greater Nashville Realtors® and the National Association of REALTORS®! I would love to put my skills and my heart for Nashville to work for you! So - when you're ready to buy or sell your home - give me a shout! I'd love to help you out! What's next? Where do you plan to build your life? And how will you identify the right steps? For Kevin Martelli, making your move is more than just a dollars and cents strategy, it's about representing people and families who are making big life changes. In fact, Kevin belongs to three generations of people who have helped families create places to call home, and he's identified a common theme: every happy home starts with a conversation and a game plan. As your agent, I design my job to take pressure off you. Buying or selling a house is a major event and you deserve my best attention, integrity, dedication, and creativity. My three rules in real estate business are Do the right thing, Try the best, and Care the most. And I only have one best interest at heart - YOURS! I am a former journalist in Washington D.C. and have 10 plus years of experience in customer service in my previous professions. I love decorating houses and supporting community activities in my free time. For me, Real Estate career is way more than just a business. It is a passion. And when it is a passion, you have only one way to make it right – DEDICATION. Connect with me, I will make sure that you will find the right home; and sell your home the right way. My goal as an agent is to help you find your perfect home. To learn what you want and to diligently help you in your search. I want to guide you through the home buying process with as much ease as possible for you. Anne Velthouse really helped me find the right condo. I did not know Nashville well and she was a continuous source of clear information and support. Anne was very positive and patient at every turn. Even when I was discouraged she reassured me that we would find the perfect place for me and we did! Ginger is absolutely amazing!!!! She recently sold my Mom's condo (within 24 hrs) and the process was seamless. I highly recommend Ginger and am looking forward to working with her again when I sell my house in a few months. My wife and I had an absolutely great experience with Jen! Jen was very knowledgeable about the local markets and current trends. To the extent that she was not familiar with a particular neighborhood or home, she conducted follow-up research and provided an update after our meeting. In addition, Jen always had a good handle on the home search and negotiation process, including the new regulations that went into effect last year. Jen was on top of every issue and very responsive to our needs. Throughout the process, we always felt like Jen was looking out for our best interest and not just looking to close another deal. If you're in the market to buy or sell a home, we highly recommend Jen Austin. Jennifer was extremely knowledgeable and enthusiastic about helping us. She answered every question and covered every detail thoroughly. She was personal and yet professional. We have bought many homes and have never had a better realtor experience. Robert & I were extremely happy with Sherry. She kept us informed with potential properties; when we found our home she was very helpful with the offering phase; closing phase and worked very hard to help us purchase our house. During the process we found not only an excellent realtor, but a new friend. I just would like to start off by saying, Thank you Ms. Sherry for helping my Husband and I find our dream home. Also, I would like to thank you for staying by our side and taking the time to walk us through the whole buying process. You treated us like family and we are forever grateful. My husband and I recommend Ms. Sherry Sanders if you are thinking about buying a home. An independent residential real estate sales firm that supports member agents in building and growing consistently productive niche businesses as they enjoy the healthy life rhythm they want and deserve. Since conception mid-June 2010 with a 90 day gestation period and an oh-so-magnificent birth September 14, 2010, We have created FAR more than “Just another residential real estate sales firm” . . . Everything we do has its own unique story and meaning for our “Vital Few” members. 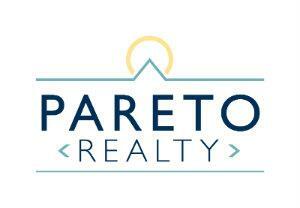 Pareto Realty is home for “The Vital Few Real Estate Sales Professionals”. Every minute of every day, our Team is thinking about ways we can improve our service to our clients. We are, indeed, a team with a common goal . . . for ALL of us to succeed because we know that each individual success benefits all of us. We are not “just another real estate firm” because this mindset begins with Broker/Owner Barry Owen whose commitment is to serve our agent members through perpetual innovation, coaching and training, and appropriate growth. Pareto Realty’s mission is to have a “Vital Few Niche Specialist” in virtually every sub-market of Middle Tennessee. We focus on building the productive success of each and every one of our members rather than the quantitative number of agents in our firm. Our most important “Vital Sign” is the percentage of agents who close a house each month . . . and the goal is 80% (Most firms track @ 20%). On the surface, our business model appears to be Traditional . . . not so much! For those members not yet performing at this level, Barry is available for coaching and training as and when needed. When you are ready to learn more, click this link to schedule your confidential meet with Barry so we can connect and discover if we’re right fits for each other. 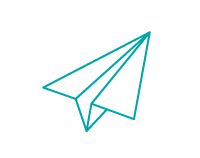 Follow this link to take you to the next step. Redirecting to findallnashvillehouses.com to complete your search.